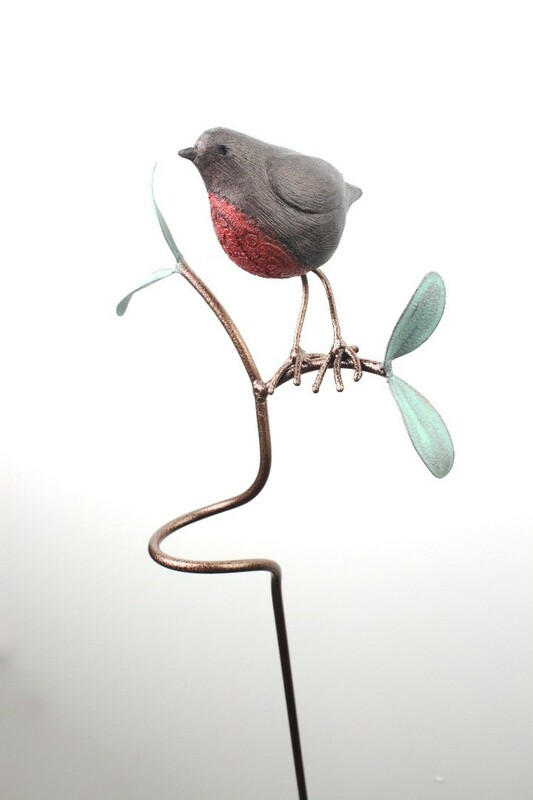 A special robin standing on a branch. 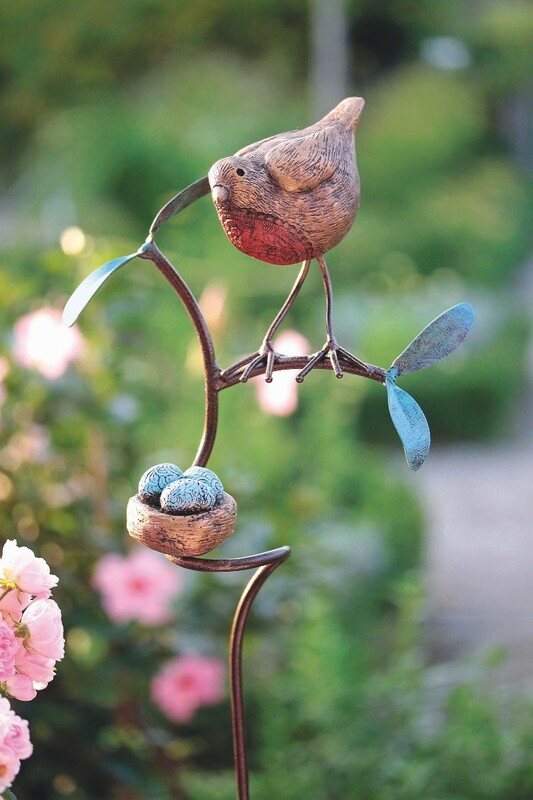 Great to use as a focal point in the garden that will create interest and make you smile everyday. 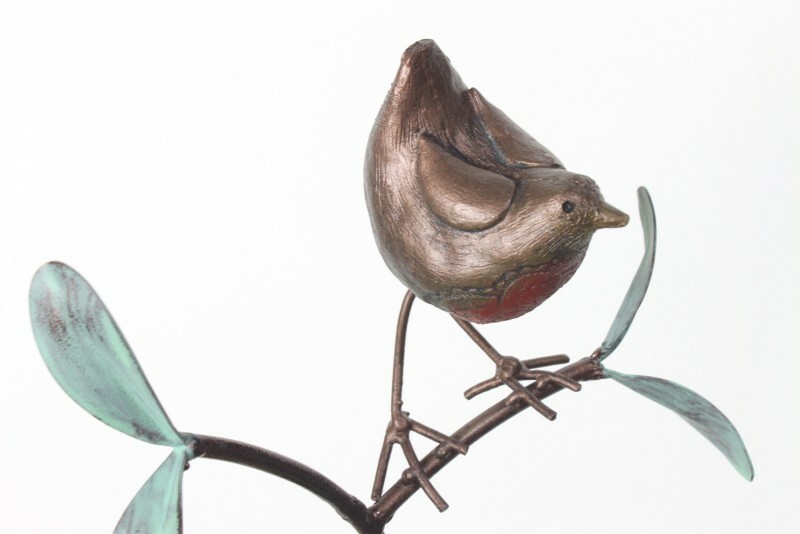 Please select carefully from the options in the drop down menu to be sure that you order the right one. 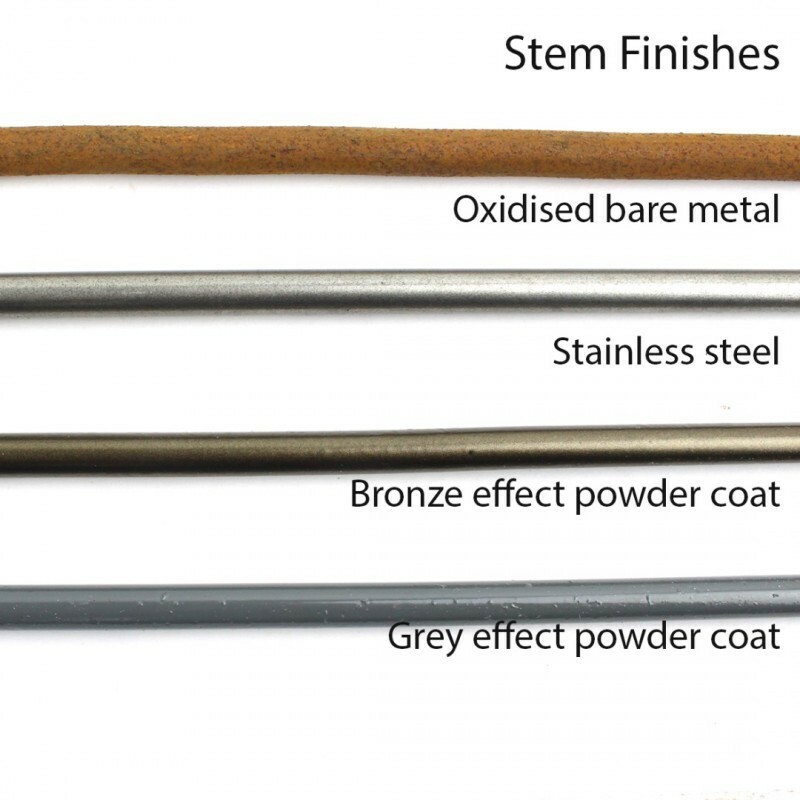 Available in two finishes Bronze effect powder coated branch with or without nest options and bare metal oxidised no nest options. 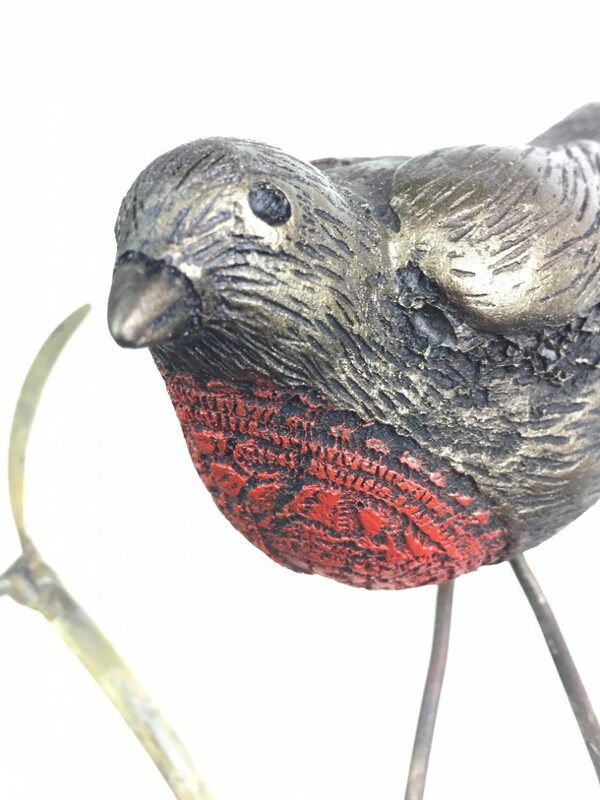 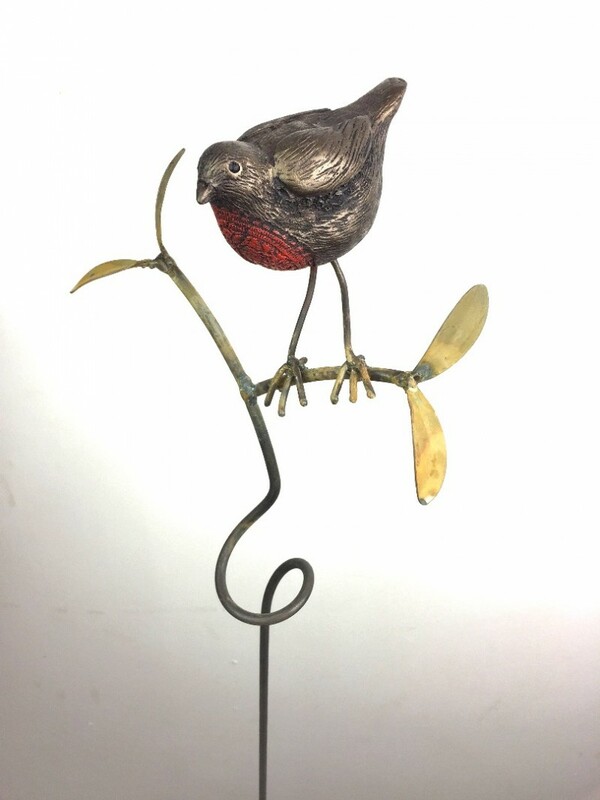 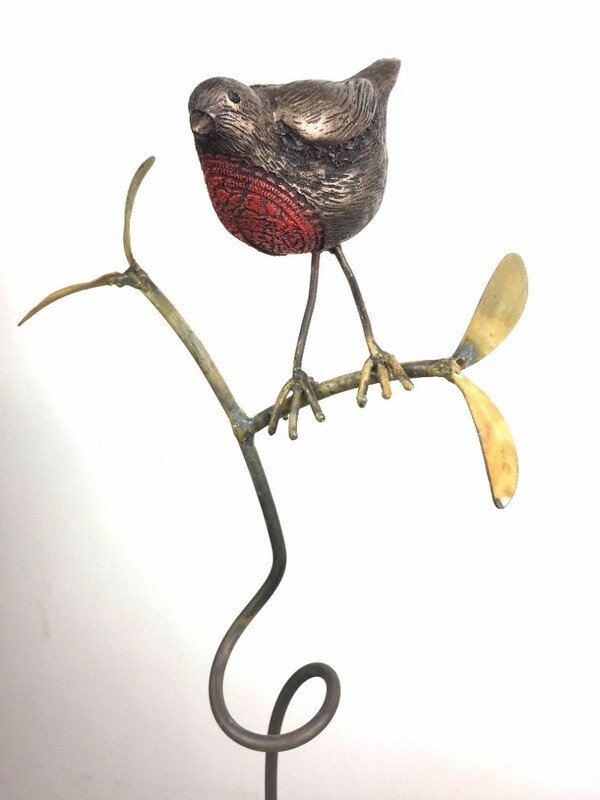 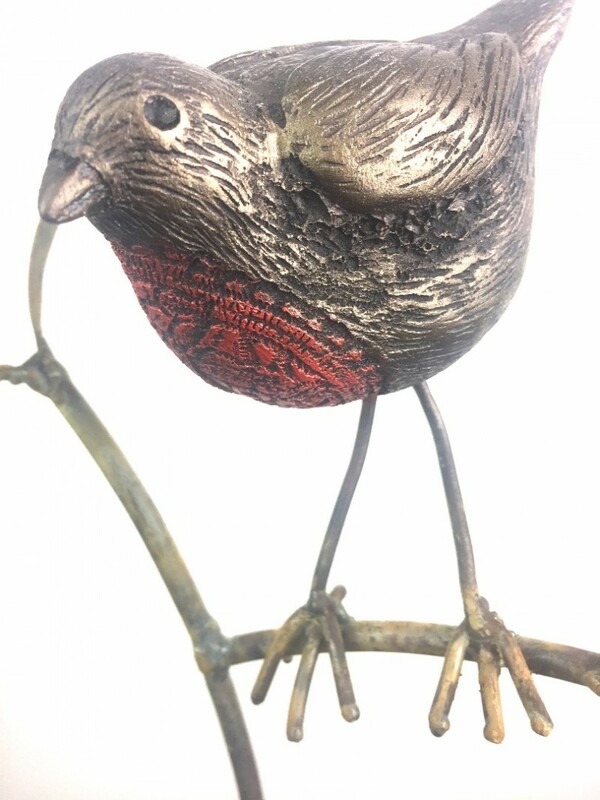 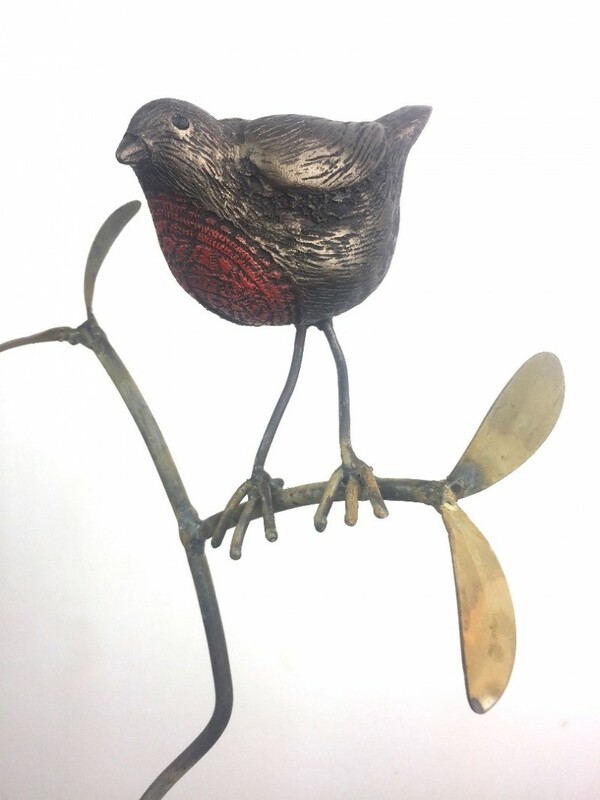 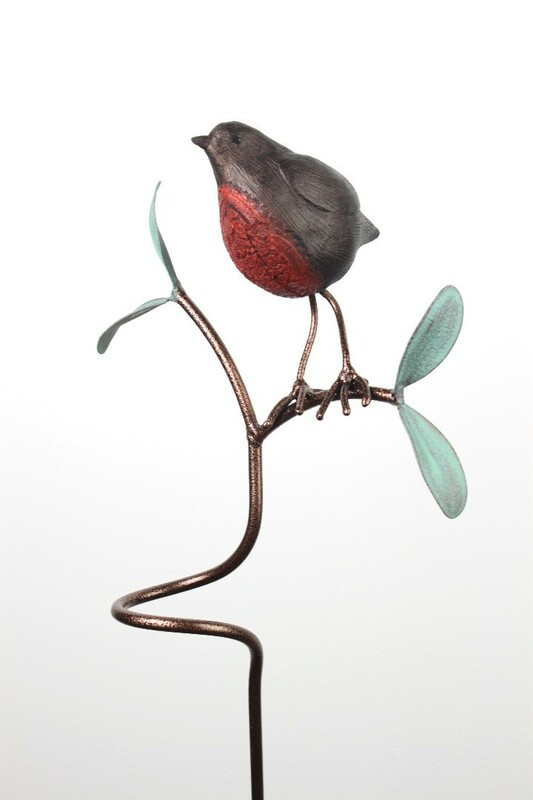 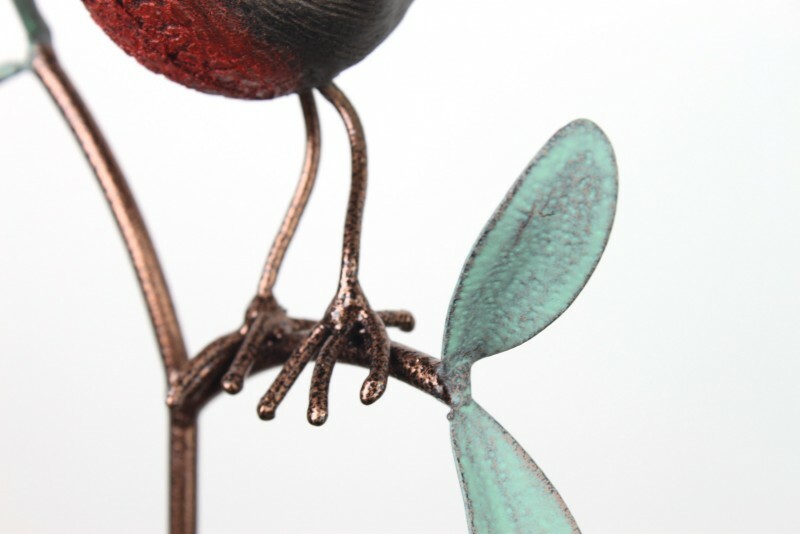 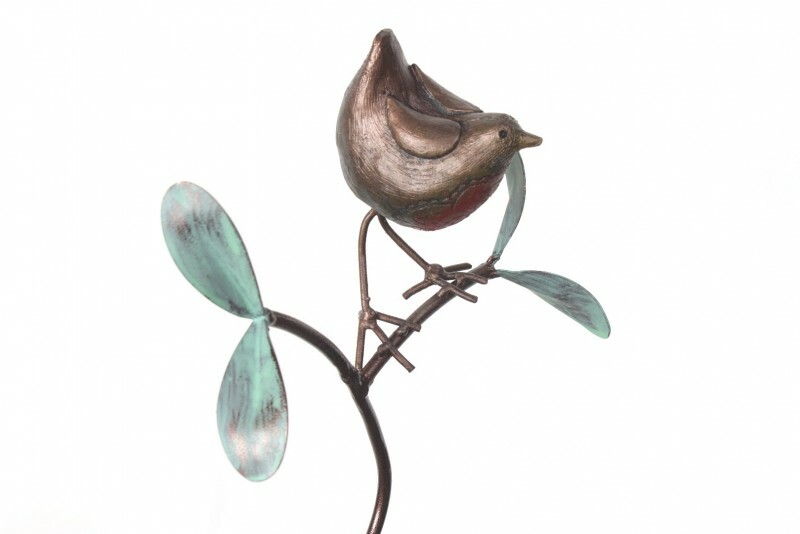 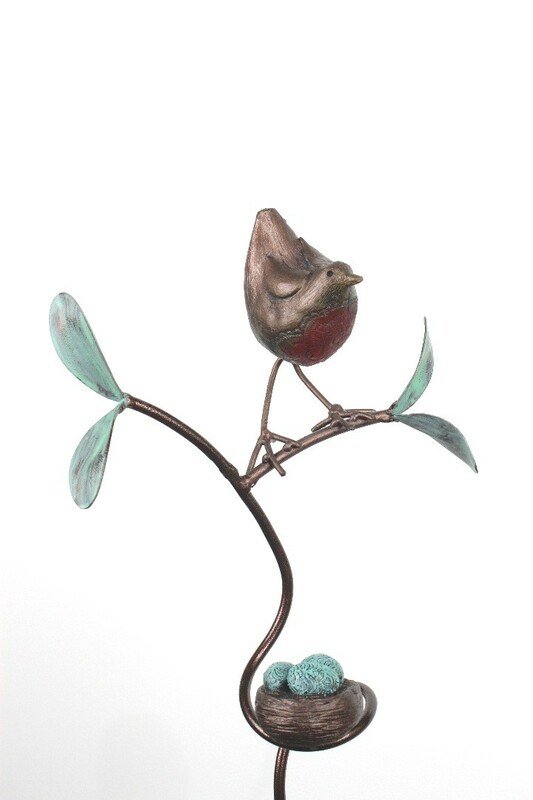 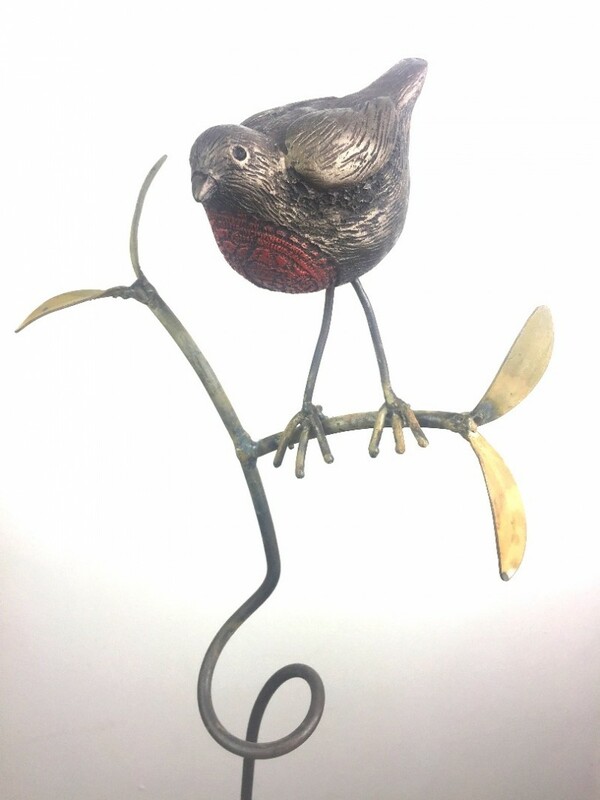 If you choose Natural Oxidised finish This sculpture is supplied with the robin mounted on a bare metal branch pole . 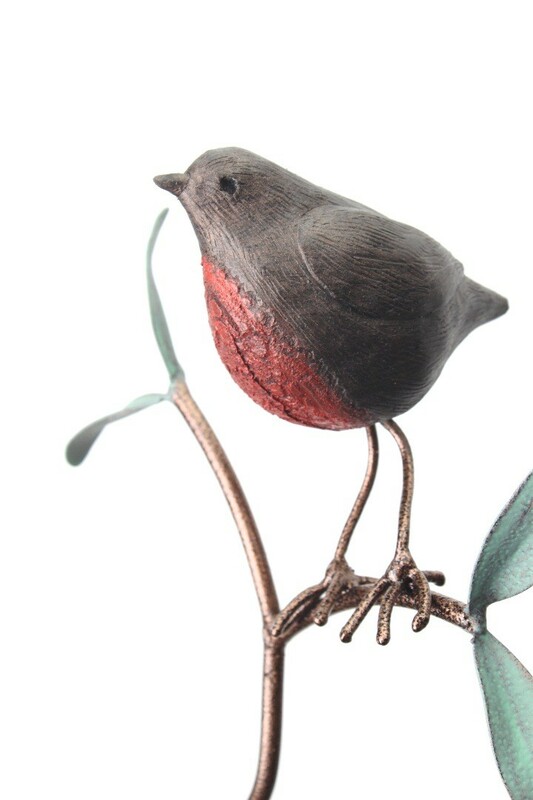 The pole will look grey in colour when it arrives but when placed outside it will quickly oxidise to produce a lovely soft orange colour that will look stunning against the bronze and red colour of the the robin. 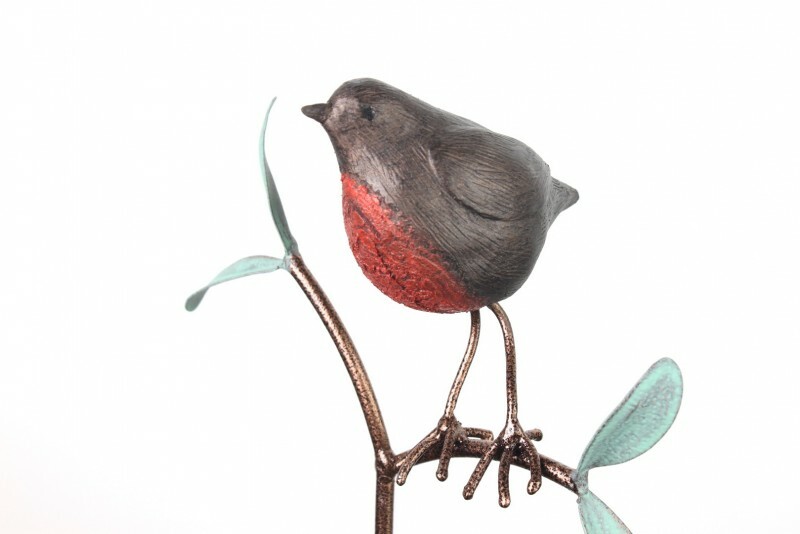 The robin will not oxidise and will keep its bronze effect finish. 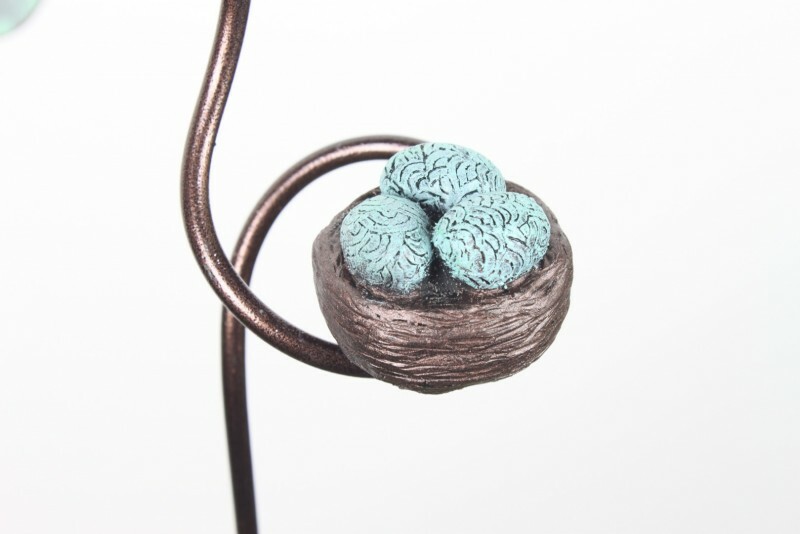 If you would like the nest version please select it from the options. 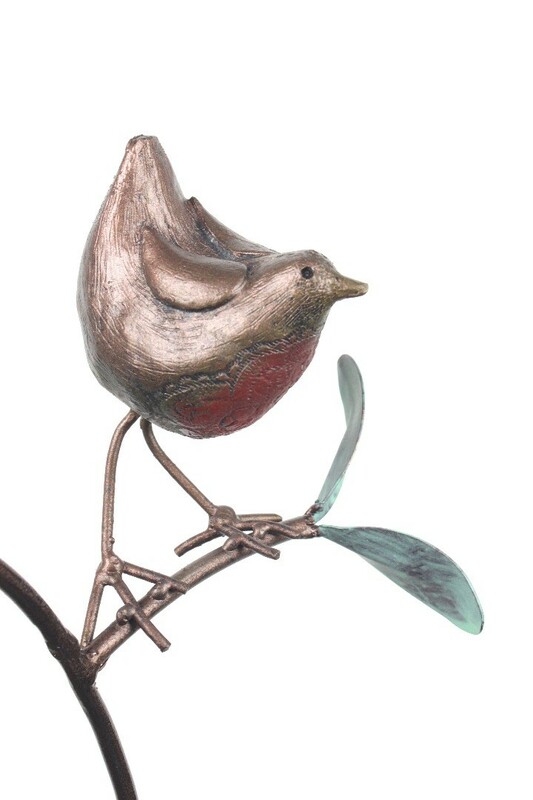 7 Day delivery this item is made to order. 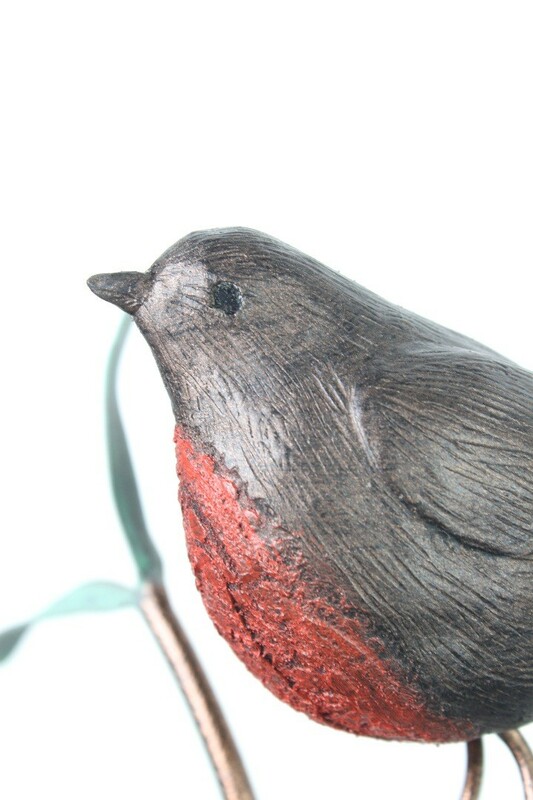 If other items are ordered with this they will all be sent together.